Named after legendary artist Jack Kirby’s explosive renderings, nerd-rock band Kirby Krackle continue to wow audiences at conventions around the world. Why, they even came here to Perth! They just relaunched their website and have also announced that their latest live album will be released next month. 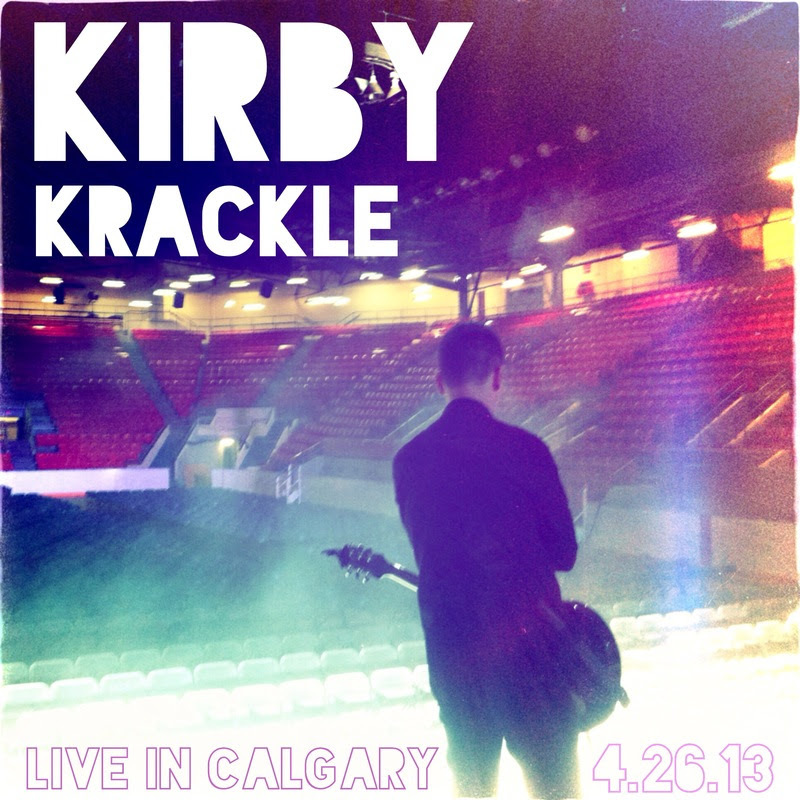 Look for the Live in Calgary EP on February 4. The album includes 6 songs from their recent tour with Weird Al Yankovic. The guys will laos be performing at Emerald City Comicon on March 28 and Spokane Comicon on March 31. 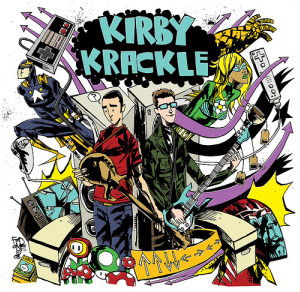 Nerdcore band Kirby Krackle’s third album, Super Powered Love, has just been released. They’ve also released new merchandise, a music video and a live album from Australia recently. Yay! Get SPL right here or on iTunes. The album cover is again by artist Jim Mahfood and comes with an 8 page booklet and includes 13 songs (their most ever), all inspired by comics and pop culture such as Mario Bros. and Transformers. Nerdcore duo Kirby Krackle have just released an animated music video for the song Secret Identity from their second album, E For Everyone. Check it out below, and Kirby Krackle’s site here. The clip is from Betsy Lee who also created their Up,Up, Down, Down video. If you like toe tapping music filled with clever comics and pop culture references, Kirby Krackle are the only way to go. 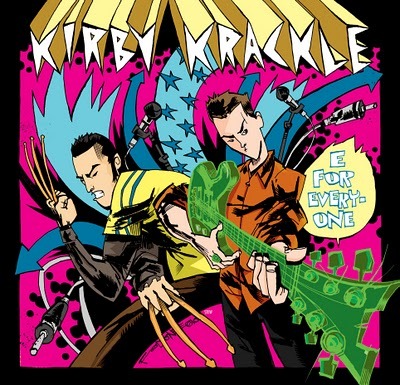 Nerdcore band Kirby Krackle (who I interviewed at Broken Frontier last year) have just released the first single from their upcoming second album, E For Everyone. The duo, consisting of Kyle Stevens and Jim Demonakos, specialise in writing songs that make fanboys and girls tap their toes and smile wryly at all the witty references. Their first album gained many fans in the comics community, and surely more will follow. The single, On and On centres on a day in the life of Wolverine and you can here it at their site right now. I also suggest checking out the lyrics to On and On and the songs from their debut album. E For Everyone will be released via their site on March 9 and is able to be pre-ordered now. Below is the groovy cover art from comics artist Jim Mahfood, with colours by Justin Stewart. Yes, that’s a gree lantern generated guitar. Awesome. Now up at Broken Frontier is my interview with comedic comic book musical duo, Kirby Krackle. I met the guys at Comic-Con, grabbed their CD and laughed. 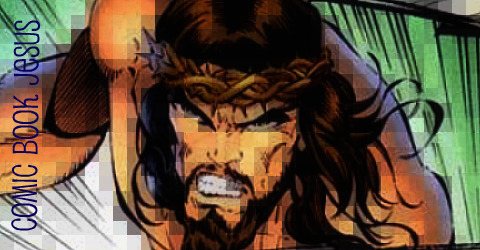 Imagine if Weird Al Yankovic was a fanboy, and there were two of him, and you’ll get Kirby Krackle. Check out the interview here.